What is the role of your College Counselor? 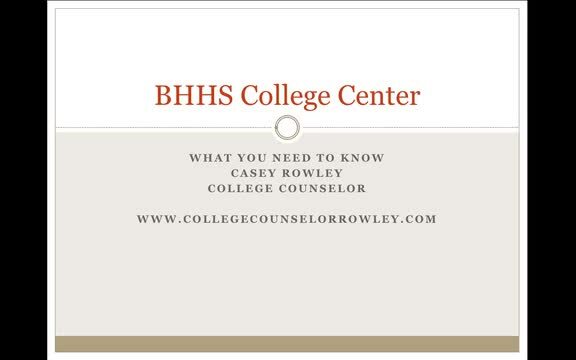 What can the BHHS College Center provide you? Most importantly, how do you stay connected and know upcoming events and communication? In less than 15 minutes get answers to all of your questions. We look forward to working with you!